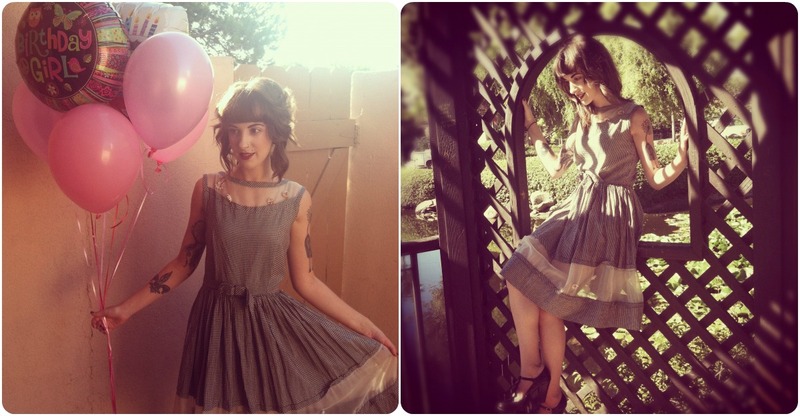 Finch & Fawn : My Birthday! 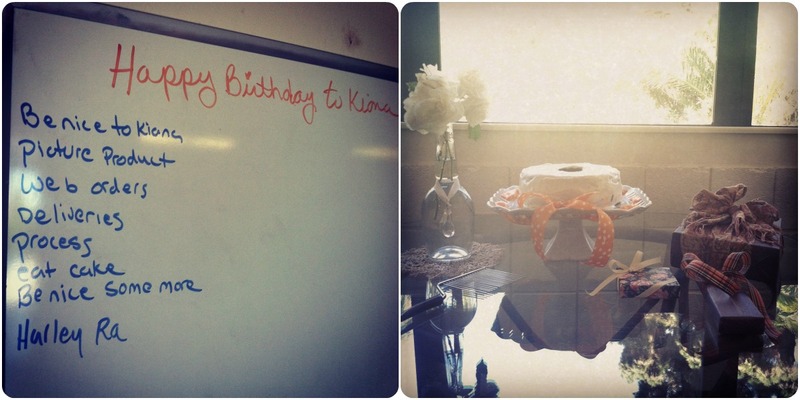 Tuesday 8/28 was my birthday and it was so lovely! I started school on Monday and had school the day following my birthday as well so it was a hectic week with my special day nestled in between. 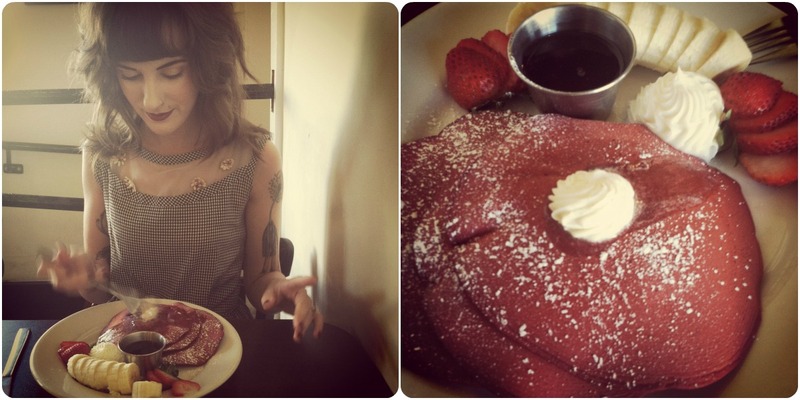 Anthony took me to a nice little breakfast at Crushcakes Cafe where I indulged in some Red Velvet Pancakes, so pretty and so yummy! 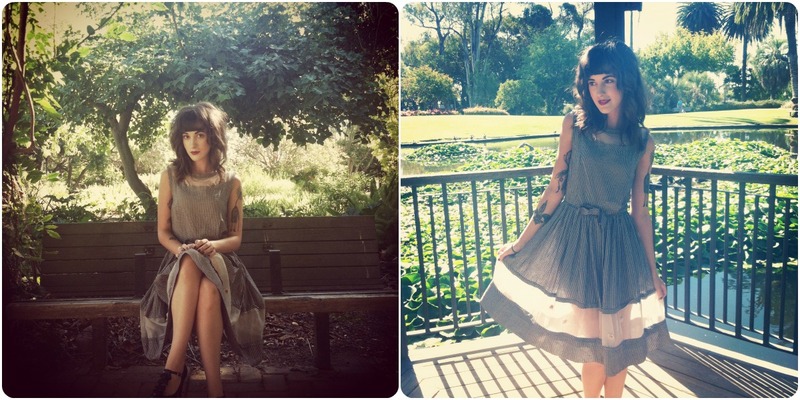 We took a little stroll through a pretty park, snapped some photos and then I headed off to work! What I wore: I spotted this 50's gingham amazingness at my favorite local antique store a few weeks ago and couldn't get it out of my mind, so a few days before my birthday we went back and Anthony purchased it for me, and it is now my new favorite dress! I love the cute little flower details, the little bow at the waist, and the sheer panel is the perfect bit of classy sexiness! And here is what I came in to work to find! Our work priority board gave me a good laugh, and my boss made me a little table of wonderfulness! Sheri made me the most delicious chocolate cake I have ever eaten in my life, brought me some flowers from her garden, hung a b-day banner, and the prettiest wrapped gifts ever! Sheri yes is my boss at work, but more like a second mom to me and one of the most important people in my life! Anthony and Sheri made my special day extra special! Here below are a few treasures I received from them. I got the most beautiful ring ever from the 1940's, my gingham dress I wore, and some cool vintage tapestry art (that by the way I am totally obsessed with right now) all from Anthony. 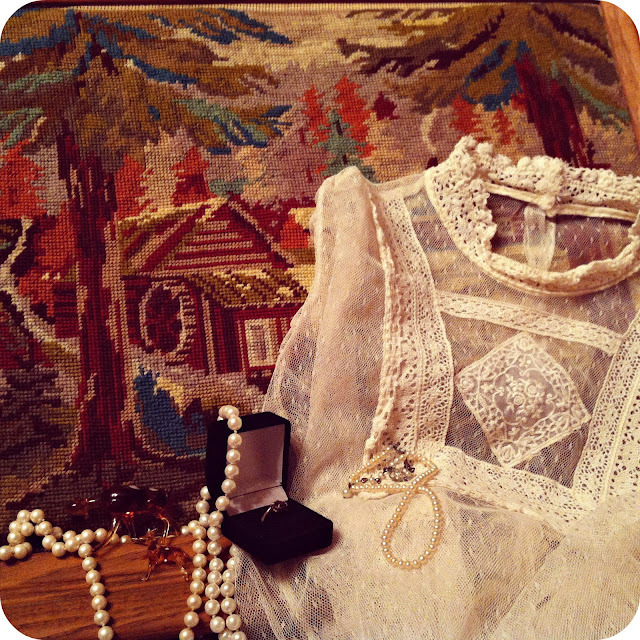 And, from Sheri I got cute little vintage glass deer, the most amazing delicate vintage blouse, and a pretty little pearl necklace that she passed down to me that means so so much! I am so overjoyed!